Today is the first day of Smart Home Week. It’s going to be a fun week for me as I’m teaming up with Smart Home Week to showcase some of the latest smart tech for your home. Over the last few weeks I’ve been installing various gadgets, chatting to my postman via video doorbell and even rewiring a thermostat (a bit scary but made me feel super powerful) so that I can explain how various things work, how simple (or not) they are to use, and how they can benefit your home. I bought my first ever house last year, so the project was well timed for me. It has made me feel very grown up, like I am taking charge and creating a home that works for us as a family. That’s not to say I didn’t have doubts at first. I am the woman who gets confused by TV remote controls remember? This time last month my idea of running a ‘smart home’ would have been remembering to lock the front door before going to bed, so it’s fair to say I was slightly nervous at the prospect of filling my home with smart tech. Technology isn’t something that comes naturally to me, and I pictured myself sat on the floor next to my router, fist fulls of leads, lights blinking, sobbing quietly. You’ll be pleased to hear it wasn’t quite like that, although I DID end up with a lot of leads and things plugged into my router. Top tip: invest in one of those boxes where you can tidy away all your cables. Most of the technology was actually incredibly easy to set up – much of it had a step by step process through its app, telling you exactly what to do ant every stage. The great thing about it being SMART technology is that it pretty much knows how to set ITSELF up. You just plug it in and off it goes. So what is Smart Home Week? Smart Home Week, which runs from 21st – 27th May, is aimed really at people just like me – people who might raise their eyebrows and look a bit suspicious at the prospect of something like a door lock that you can control remotely. Its aim is to help to educate us about the benefits of smart technology, but also to reassure us that it doesn’t have to be super complicated to set up or difficult to use. 30% of people now have at least one piece of smart technology in their homes and there’s no doubt that it’s a growing market. One of the key things for me has been learning not just about the individual gadgets, but also about the systems that can bring them together. It might feel like a faff having half a dozen different apps on your phone, but when you bring them all into one place, through things like Samsung SmartThings and Google Home, you suddenly start to see the benefit. Just using her voice, Belle can now use the Google Home in her room to adjust the tado thermostat on her radiator, choose some music to listen to, and change the colour of her Philips Hue light bulbs. I can see already how big a part of her routine it has become, as when we went camping at the weekend I heard her in the tent trying to ask Google to put some music on. For me, the most useful smart technology is probably the stuff I have just installed and forgotten about, like the tado thermostat. I’m not looking for tech that means I have to do MORE THINGS – I want gadgets that take responsibility away from me and leave me with fewer things to think about. I’m going to be publishing a post later in the week going into more detail about the different smart technologies we’ve installed, but in the meantime be sure to look out on Twitter, Instagram and Facebook for my daily posts this week. Every day during Smart Home Week has a different theme, so I will be focusing on different products to fit each theme, showing you how they work and what we like about them. 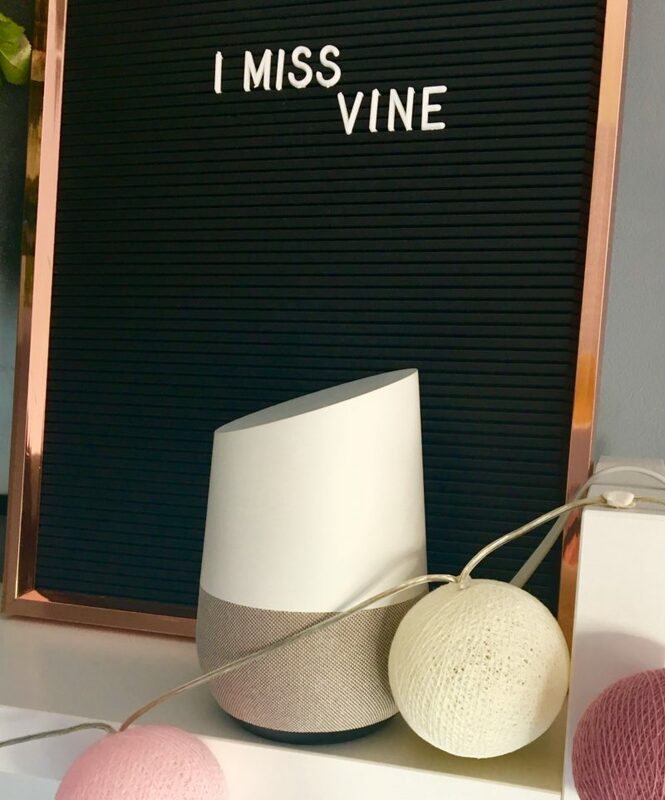 There are loads of brands on board with the event – Yale, Samsung SmartThings, Google, Amazon, Tado, BSI, Philips Hue, ebay and Ring – and you can find out more about the Smart Home Week supporters here. You can also find out more direct at Smart Home Week, or follow the #SmartHomeWeek hashtag to see other people’s experiences. So I’m interested to know – do you have any smart technology in your home? What products do you like and what do you like about them? Leave a comment and let me know. How many of the products have carefully explained how your personal data are captured and used by the company? What they do with your daughter’s voice data and what risks there are for data security and how they safeguard against them? Voice and other biometrics will one day be used as a unique identifier for security checks like banking. So you know how long the company will keep the data and who else has access rights? If not, get them all to give you an easy-to-read explanation. Thanks Jen – definitely something to check out. We do so much fo this kind of thing without thinking so it’s always good to be safe. My worry, in this modern technical age, would be about hackers selecting my home and having access to all my possessions because of the smart door locks. I don’t believe that I could take steps to ‘smarten up’ my home, it would worry me too much. You are a brave woman SSM and I hope that my fears don’t cause you any sleeless nights?! I’d absolutely love something where I can turn on the heating from my phone. It would definitely come in handy!